REMEMBER MEHARCHAND KHANNA, the Union Minister from 1954 to 1967, who could not stand unless supported by two persons, one on each side, but was given a Congress ticket to contest again in 1967 in Delhi, but lost? Some media persons are crying hoarse and shedding copious tears about 91-year-old Lal Krishna Advani being NOT fielded again by the Bharatiya Janata Party, though he is given all respect as’margadarshak'(Mentor-guide) of the party. They themselves wanted “energetic, young” leaders like Rahul Gandhi to take over. 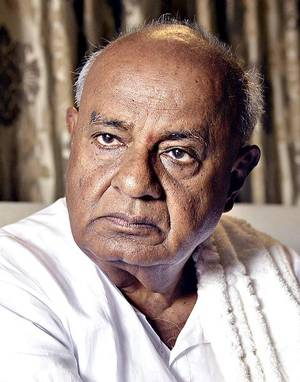 HD Devegowda is the new mentor of Congress in Karnataka, though he heads another party, the Janata Dal (Secular). The Indian National Congress made his son, heading the party that got the lowest number of votes, the Chief Minister of the State. 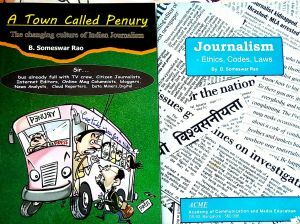 Now it will support Deve Gowda in the coming Lok Sabha elections. Mehar Chand Khanna thought he would win the Delhi election as he, as Minister for Rehabilitation, had “settled” lakhs of Punjabi refugees like himself by giving them houses which are now worth crores. Similarly, Deve Gowda thinks he can win the election on the strength of the Gowda caste vote as he made it a Gowda caste party (you are communal if you talk of Hinduism, but advocating casteism is secular). And all Muslims will vote against BJP. Don’t people vote sheepishly on caste and religion and not on issues? Did you notice the great sacrifice of Deve Gowda ji? He did not bring his wife into politics, as another hero of the Congress, Lallu Yadav did, making her the Chief Minister when he himself had to quit because of conviction in a scam. Though that happened during Congress rule, how he is the mentor of the Congress in Bihar as, like the grand old party, he too believes in dynasty rule and his too is a caste-based party. What a great man, Deve Gowda! He wept in public when “handing over” his Hasan seat, an ancestral property, to his grandson. He knows Indians are emotional fools who will fall for tears. And that he is good at… when not sleeping in public.